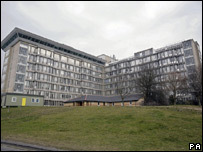 A "reckless" mistake caused the adverse drug trial reactions at Northwick Park, according to a Channel 4 investigation. Documents obtained by the programme Dispatches revealed drug TGN1412 was administered 15 times more quickly than it had been in animal safety studies. Six men were left seriously ill after receiving the drug. But the UK medicines regulator said the speed of administration was not to blame, and other experts said it was probably not the only causative factor. Dr David Glover, former chief medical officer at Cambridge Antibody Technology, said while the speed that the drug was given may have compounded any problems, there were other issues, such as the potency of the drug, which could have caused the reactions in the men. A spokesman for the Medicines and Healthcare products Regulatory Agency (MHRA), said: "There was no reason to believe that the administration rate proposed for TGN1412 would present as a foreseeable hazard to the subjects." The MHRA said the reaction experienced by the men was an "unpredicted biological effect". During the trial six men were given the monoclonal antibody, manufactured by German company TeGenero that has since filed for insolvency, over a period of three to six minutes. During prior safety tests on monkeys, the drug was administered over a period of one hour. But data obtained under the Freedom of Information Act by Dispatches revealed that the MHRA could have calculated the speed at which the drug should have been given. Professor Terry Hamblin of Southampton University, a monoclonal antibody expert who has worked on TGN1412, told the Sunday Times: "When you give an antibody, the quicker you put it in, the more likely you are to get an infusion reaction." "To quickly infuse it over three to six minutes in six individuals I think is... reckless." But Dr David Glover said: "I think it is too simplistic to simply blame it on the speed of administration. It was probably one of many factors that played out to influence the outcome of the disaster. "The speed of administration probably compounded the error, but on its own it is probably not the sole error." He said the MHRA should never have sanctioned the trial in the first place and there were simply too many unknowns at the time of the trial, such as the drug's potency and its mechanism, to proceed safely. A clinical trial expert, who did not wish to be named, added: "While the speed of infusion could have contributed to the reaction, it is very unlikely to have been the only cause." The drug trial left six men in intensive care, with two fighting for their lives. The worst affected, Ryan Wilson, a former apprentice plumber, has had to have fingers and toes amputated, and his future health remains uncertain. Parexel International, which organised the trials, was unavailable for comment.